"The original ended with Arnold on the throne as a seasoned warrior, and this is the take of the film we will make. It’s that Nordic Viking mythic guy who has played the role of king, warrior, soldier and mercenary, and who has bedded more women than anyone, nearing the last cycle of his life. He knows he’ll be going to Valhalla, and wants to go out with a good battle." "Assassin's Creed" fans will be glad to hear that the big screen adaptation of the famous videogame franchise is still moving forward. 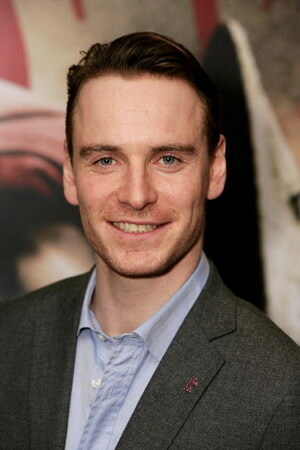 The film, which is set to star Michael Fassbender ("Shame", "Centurion") in the lead role (he will also co-produce), has secured financing and distribution from New Regency. The company sees "Assassin's Creed" as their "first big commercial action franchise property". The next logical step is to secure a director, a screenwriter and then fill in the rest of the cast. Another videogame franchise is speeding towards the big screen. 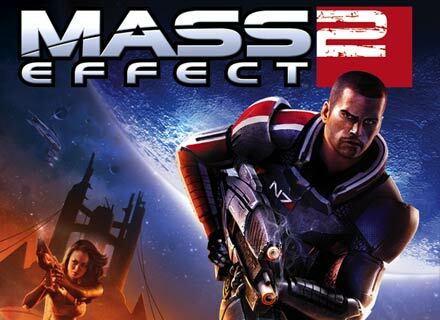 "Mass Effect" is also getting its own adaptation from Legendary Pictures. 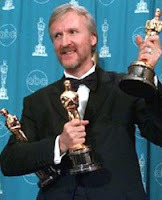 An initial draft of the script was being handled by Mark Protosevich ("I Am Legend"), but recently there have been reports that Protosevich's draft was dismissed and that Morgan Davis Foehl has been brough in to tackle the script. Foehl worked as an assistant editor on "Rescue Me" and "Click", but his work as a writer has not been particularly fruitful (a script of his from 2009 made the Black List, but hasn't been produced). The producers are said to have "sparked to Foehl’s take on the project given that he is a Mass Effect fan and has also penned action pics with a strong espionage bent, material similar to the overall plot of the Mass Effect games." Screenwriter John Logan ("Gladiator", "Hugo") will return to pen the script for the 24th and 25th James Bond films. Logan was responsible for rewriting the "Skyfall" script and it seems that the filmmakers were very pleased by the outcome, especially since early reviews seem to qualify the film as the best Bond film ever. Producers Michael G. Wilson and Barbara Broccoli are hoping to release the next film in 2014, probably in November. Reports also state that Logan's pitch for the new script involves a two-movie story arc. Al Pacino, Julianne Moore and Jeremy Renner have signed on for the rocker drama "Imagine", which will be directed by "Crazy, Stupid, Love" writer Dan Fogelman. The story follows an aging 1970's rocker (played by Pacino), who discovers an undelivered letter written to him when he was 19 by John Lennon that determines him to get his life back on track and connect with the son he's never met (played by Renner). Julianne Moore will play the owner of a small New Jersey hotel where the rocker will stay. The sequel to "X-Men: First Class" will no longer be directed by Matthew Vaughn. The studio is now scrambling to find a replacement and rumors put Bryan Singer ("X-Men", "X2") at the top of that list. The sequel, titled "X-Men: Days of Future Past" will have the original cast reprising their roles and is scheduled for release on July 18, 2014. "Story follows two young boys who go with their single mother (O’Connor) to take care of their elderly, senile grandmother named Mercy, only to discover that she’s a witch who made an evil pact with a dark force many years before." Because studios really love their horror fans, "Paranormal Activity 5" has been greenlit for a Halloween 2013 release. "Paranormal Activity 4" hasn't been doing that well at the box-office, but considering the very small budget required for these flicks, it's no surprise Paramount still wants to hold on to their franchise, especially since competition during the Halloween week is usually weak now that "Saw" is long gone. Not only that, but Paramount is also working on a spin-off that is said to be released in Spring 2013. Ryan Gosling has dropped out of Nicolas Winding Refn's remake of "Logan's Run". The remake doesn't seem to be going anywhere and now the lead actor has left the project. Warner Bros. have been waiting on the project for a while and it doesn't look like they'll be starting work anytime soon. "LOS ANGELES, (October 23, 2012) – Lightstorm Entertainment has acquired motion picture rights to the acclaimed 2011 novel The Informationist by Taylor Stevens, as vehicle for James Cameron to direct for 20th Century Fox Film. The Informationist will be a project for Cameron after he completes work on the second and third “Avatar” films, which are currently in pre-production. Published in October 2011, Stevens’ tale centers on Vanessa “Michael” Munroe, an information specialist, whose work is in-demand by corporations, heads of state, private clients, and anyone else who can pay for her unique brand of expertise. When a Texas oil billionaire hires her to find his daughter who vanished in Africa four years ago. Munroe finds herself back in the lands of her childhood. Betrayed, cut off from civilization, and left for dead, she must come face-to-face with the past that she’s tried for so long to forget. Cameron will produce with Lightstorm partner, Jon Landau. The producers expect to hire a writer to adapt the novel shortly. A second “Vanessa Michael Munroe” novel, The Innocent, was published earlier this year. Author Taylor Stevens has a background every bit as intriguing as her heroine’s. Born in New York State, and into the Children of God, an apocalyptic religious cult spun from the Jesus Movement of the ’60s, Stevens was raised in communes across the globe. Separated from her family at age twelve and denied an education beyond sixth grade, she lived on three continents and in a dozen countries before reaching fourteen. In place of schooling, the majority of her adolescence was spent begging on city streets at the behest of cult leaders, or as a worker bee child, caring for the many younger commune children, washing laundry and cooking meals for hundreds at a time. In her twenties, Stevens broke free in order to follow hope and a vague idea of what possibilities lay beyond. She now lives in Texas, and juggles full-time writing with full-time motherhood."